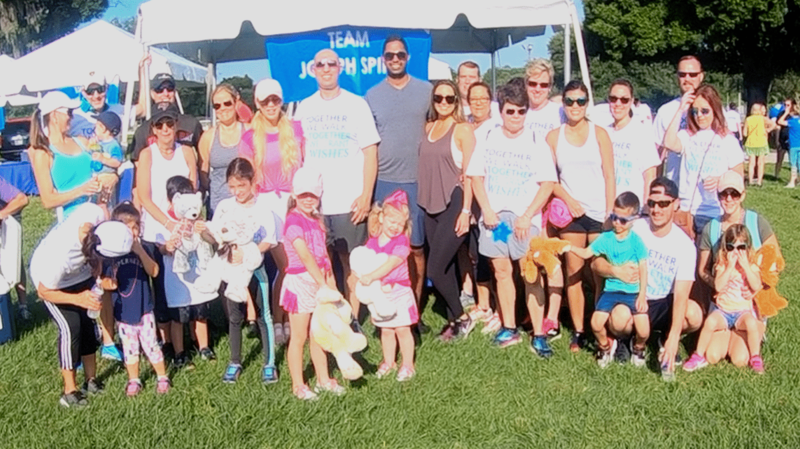 This past weekend, employees from Joseph Spine joined fellow businesses and volunteers to “Walk for Wishes” in support of Make-a-Wish Southern Florida’s 6th annual walk at Raymond James Stadium. Walk for Wishes celebrates thousands of wishes that have already been granted while raising funds for future wishes. The event is powered by wish families, volunteers, donors and friends, and participants help to bring the life-changing impact of a wish to children battling life-threatening medical conditions in the Tampa Bay area and surrounding communities in Southern Florida. In the United States and its territories, a wish is granted every 34 minutes. More than 980 participants, including 81 teams, made the Walk For Wishes an impactful morning. 21 wish kids participated, and many of them started their own teams to raise funds to help grant more wishes. In all, everyone came together to raise enough funds to grant 16 heartfelt wishes for kids like 14-year-old Corin who battled leukemia. Her wish was to go on a Mediterranean cruise with her family. The Butterfly Foundation’s spinal deformity mission trip changes the lives of 23 young patients as volunteers and generous donors dedicate their time not only provide surgical treatment for patients, but also to train local physicians in surgical procedures that can continue to serve the people of the Dominican Republic. Dr. Samuel Joseph and Dr. Andrew Moulton, along with a dedicated team of volunteers traveled to the Dominican Republic over Valentine’s week to save the lives of children and young adults with severe spinal deformities. The volunteers had a grueling schedule which included 4 to 5 surgeries daily for the week, along with patient screenings and lectures to orthopedic residents. The team performed 23 scoliosis and kyphosis cases and stated he was seeing one of the most severe cases they had ever come across. Dr. Samuel Joseph, founder of Joseph Spine of Tampa and neurosurgeon Dr. Salvatore Zavarella from New York performed the most severe case. The patient was suffering extreme kyphosis. This patient was actually a somewhat rare instance of the team taking on an adult case, 36 year old female that said to her husband less than 12 hours post op when looking in the mirror sitting up, “I feel like a super model”. “We have seen this hundreds of times before, she is now the butterfly escaping the bound up cocoon and with thrive,” Dr. Moulton. Before and after surgery extreme case of kyphosis. Surgery performed by Dr. Samuel Joseph, founder of Joseph Spine of Tampa and neurosurgeon Dr. Salvatore Zavarella from New York. Although the days were long the team was energized by the work they were doing and the gratitude of their young patients. Many of these young patients travel great distances to receive surgery. Most of the patients have been long suffering from adolescent or congenital scoliosis or in need of kyphosis correction. These young patients are heroes themselves, braving the travel and unfamiliarity with their surgeons. The surgeons and other volunteers take extra time with these children to help them cope with the upcoming days. “Meeting strangers and allowing them to perform dangerous and painful surgery was a great leap of faith,” Dr. Moulton. Many of these cases were quite severe. Dr. Joseph, founder of Joseph Spine in Tampa, performed an eight hour surgery, along with neurosurgeon Dr. Salvatore Zavarella from New York. The patient was somewhat of a rare instance of an adult with a severe kyphosis case. The patient had lived with this severe deformity since childhood and it had devastating social consequences for her throughout her life. She stood up the day after surgery holding Dr. Joseph and looked straight forward without craning her pelvis and neck essentially for the first time in her life. The Butterfly Foundation is a nonprofit organization dedicated to the sharing of spine surgery technology, expertise and care to patients and to teaching spinal deformity surgery in developing countries. Local physicians work alongside establish deformity corrective surgeons such as Dr. Joseph and Dr. Moulton as they perform live-saving surgeries, while promoting the advancement of spine deformity treatment technology by training local surgeons. The Butterfly Foundation was founded by Dr. Moulton in 2003. He was inspired to start the foundation as he realized the mission trips could only provide help to a small percentage of the population. In order to make a real difference for the population it was necessary to train local surgeons. “Teach a man to fish and he feeds his community for a lifetime is our motto,” states Dr. Moulton. Dr. Moulton explains how the name “Butterfly Foundation” was chosen. Joseph Spine is pleased to announce that Dr. Andrew Moulton has joined our practice and will be seeing patients primarily at Joseph Spine’s Advanced Center for Spine, Scoliosis, and Minimally Invasive Spine Centers in Safety Harbor and St. Petersburg locations. Dr. Moulton received his undergraduate degree from the University of California at Los Angeles and completed his medical degree at SUNY Downstate School of Medicine in Brooklyn, New York. He did his Residency at SUNY Downstate Department of Orthopaedic Surgery. He did his Spine Surgery Fellowship at the Hospital for Joint Disease. Dr. Moulton has been involved in a number of humanitarian efforts. He is president and co-founder of the Butterfly Foundation, a nonprofit organization that brings spine surgery teams from the U.S. to the Dominican Republic to teach local surgeons the latest techniques in spine surgery. Dr. Moulton has published numerous papers in professional journals and was involved in two biomechanical studies involving the spine. He is also fluent in both Spanish and Portuguese. The Butterfly Foundation is a nonprofit organization focused on teaching spinal deformity surgery in developing countries. The primary site has been the Dominican Republic, with similar projects annually in Chile, Jamaica, Malawi, and Vietnam. The first trip to the Dominican Republic was in March 2003. The pattern for following trips includes and established deformity surgeon working alongside a local surgeon as well as didactic lectures and saw-bone workshops. Teams consist of academic spinal deformity surgeons, anesthesiologists, nurses, OR techs, perfusionists, and neurophysiologists. Local “fellows” have been selected at each site for focused training. Joseph Spine is the advanced center for spine, scoliosis and minimally invasive spine surgery. Founded by Dr. Samuel A. Joseph, Jr., a fellowship trained, board-certified orthopedic surgeon. His practice includes the specialized, conservative, and surgical care of patients. 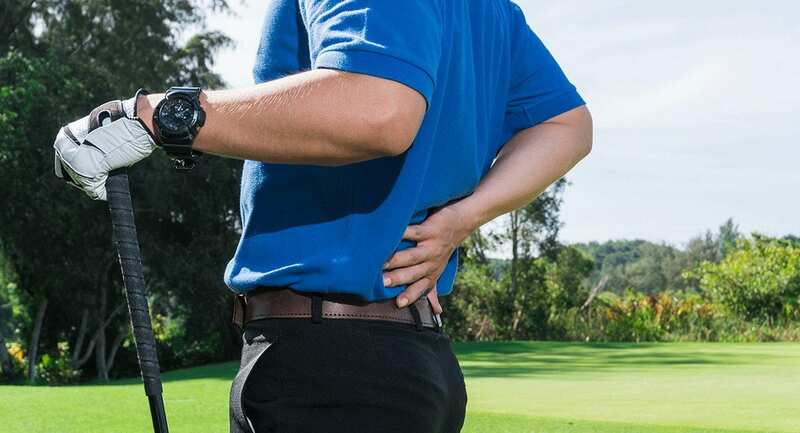 Treatment includes therapeutic injections, physical therapy, pain management, stem cell therapy, disc replacement surgery, minimally invasive techniques, including robotic-assisted surgery, and complex reconstruction of adult and pediatric spinal disorders. Dr. Joseph is among a select group of surgeons to offer cutting-edge regenerative injection (stem cell) therapy and robotic-assisted surgery for patients to provide the most advanced minimally invasive spine surgery (MIS) available globally. Joseph Spine is dedicated to offering humanitarian spine services internationally in the form of education, awareness, and surgery. Please visit JosephSpine.com for more information. We are celebrating our one year anniversary at Joseph Spine, PA of Tampa. Looking back over the year we reflect on spine technology and advanced spine medicine to our patients. We also want to thank our patients, colleagues, and community for a year of great support. 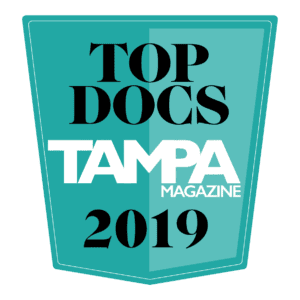 Some of the things we celebrated were the first stem cell procedures for the spine, acquiring the Mazor X, robotic spine surgery and Dr. Samuel Joseph being selected as the spine surgeon for the Tampa Bay Buccaneers. We look forward to continuing advanced spine care, as well as participate in the Make A Wish and the Butterfly Foundations.